Oh, and as a PSA, since I didn't see it mentioned in this thread, CAT Scales has two phone based apps that makes locating and executing a weigh super simple. Don't even have to get out of your truck, results show on your phone and get emailed to you as a pdf. 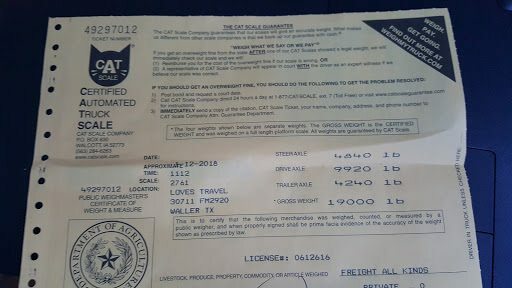 $11 per weigh. ^^ something is wrong with those weights... there is NO WAY he can have 9920# on the drive AND ONLY 4240# on the trailer axles..???????? Jeff, those are NOT your real weights, it appears that you were not correctly positioned on the plates, and the second weigh is the TV only, less the 5er. The weight and pin weight can be calculated from those two different weighing. 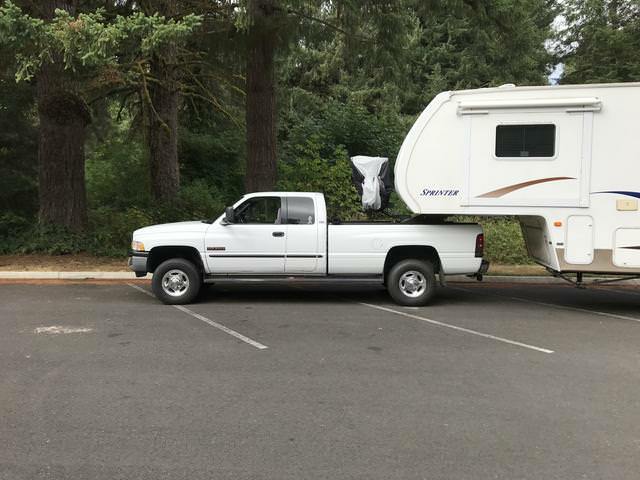 Jeff, I don’t think you lined up the axles on the scales correctly. 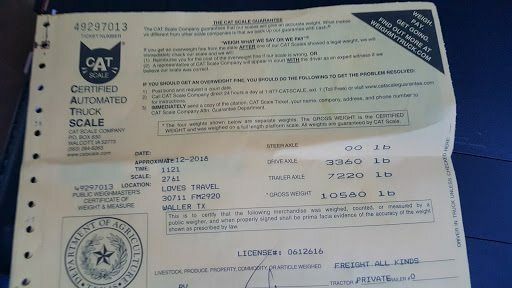 Here is a page explaining how to weigh the RV rig. Here are my numbers. I did weigh full of fuel and DEF but on the 2nd weigh with the trailer I had ~3 gallons less fuel since I had to go pick up the camper at the storage lot. I also moved my generator (~100lbs) to the basement from the bed of the truck. Fresh water tank was full and only had my tools and a few other items in the camper. Numbers show 2280 pin weight and GVWR of 12760. I am over on my CCC but still under RAWR and GCVWR. Well we had a bit of a surprise when we weighed this week. Not a Cat Scale, but ODOT road side scal accurate within 50#, scale was about one mile from park we were leaving. 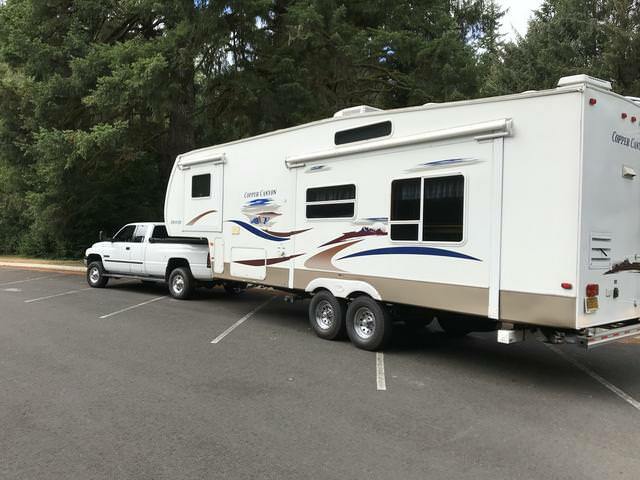 TV 2001 Ram 2500 with Camper Package. Unloaded TV with full fuel with most stuff loaded. This rig tows great does well on hills both up and down. 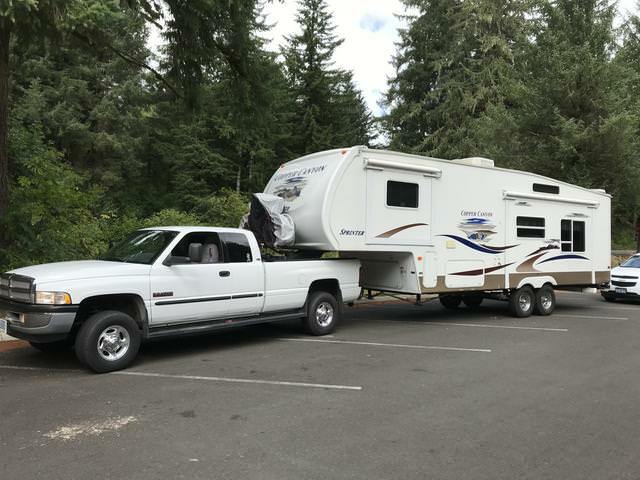 This is stock 2500 with Camper Package and a full set of Bilstein 5100 shocks. Looks good to me. You are within the axle ratings, which is what matters.